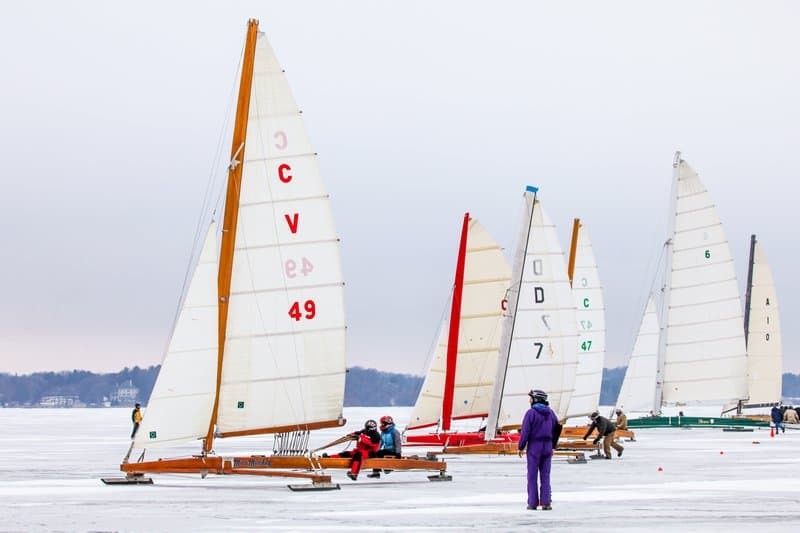 The Wisconsin Stern Steering Association regatta has been postponed to January 13 and 14. The next update will be Sunday, January 7. Check back here or call the Iceboat Hotline 608-204-9876. Lake Winnebago has more than 12″ of ice but the snow drifts are rock hard.